Check out this recent interview with Carrion about Field Days' upcoming plans, on There's Something Hard In There. How did Field Day come about? Really a combination of a few things that just kinda lined up. In 2018, Peter and I had a conversation about Wig Out and Field Day songs and if there was any way of playing them live since we love some of those songs. Over the past decade, more and more people were hitting me up, asking me if Wig Out and Field Day songs could ever be played again with Peter singing. Dag Nasty has had 3 different singers and most fans really have their favorite guy. There are fans that love Peter and fans that love Dave and fans that love Shawn. A parallel might be Black Flag singers, with all their different lineups and how people have “their Black Flag guy.” For the record, I’m a Dez guy. 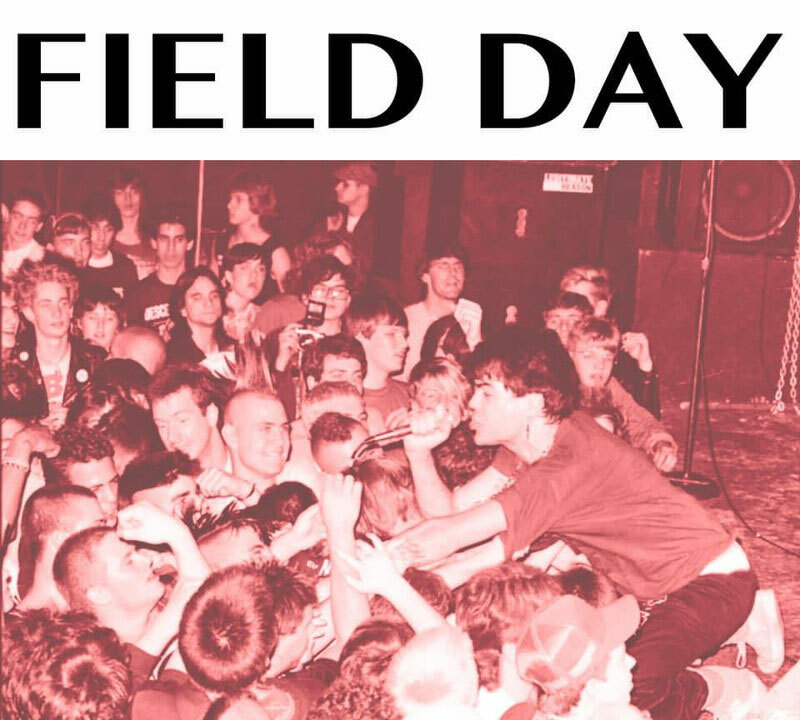 Anyway, We figured the easiest thing for us to do was to call it Field Day so it wouldn’t create any confusion with the fans or promoters, and that’s how the ball started rolling. Why is now a good time to launch Field Day? There's always time for good music. Also, I think everyone’s in a good place in their lives to commit to Field Day and most importantly now the fans will get the chance to hear some of those songs with Peter and I performing them. It just made sense. The original members of Dag Nasty have been playing together over the last few years. How do they feel about Field Day? I heard you discussed playing "Wig Out"/Field Day songs with Brian Baker at one point. Any details of that conversation? It's super friendly with Brian. Brian and Mark are friends from way back, so whenever Mark has a Field Day question about guitar parts, Brian shows him how he played 'em, it’s really cool. I'm not too sure about Roger, Colin or Shawn; I know I don’t have any issues, they're all nice guys. Colin and Mark are also friends, Peter and Shawn are friends, Brian and I are friends. About the previous discussion, Brian’s Bad Religion schedule got busy and it wasn’t gonna happen, so Peter and I opted to continue moving things forward, however Brian is welcome to join us live any time, that'd be fun. Honestly, it’s gonna be a different band playing some songs from Wig Out and Field Day and fans will know which singer is showing up. What’s on the docket for Field Day? Touring, practicing, writing new songs to accompany the old ones? Right now the plan is rehearsing, writing new songs and focusing on 3 East Coast and 3 West Coast shows in late August early September. Musically speaking, we’re looking to release new music in 2020. Mark and I rehearse every week learning the older songs. Also, we’re writing and sharing rough demos of new songs that we plan to record as soon as possible, hopefully this summer 2019. How does it feel to be back and playing bass on those songs? It’s really fun, I’m going about it in a weird way (what a surprise) by not just learning the bass parts but also learning all the vocal parts. That’s a deep dive into the Wig Out and Field Day. I practice every day for a few hours learning old songs or writing new ones. It’s interesting to relearn those songs with a more adult perspective. I’m not the same player I was back then and certainly have had more life experiences, so it makes it a blast. 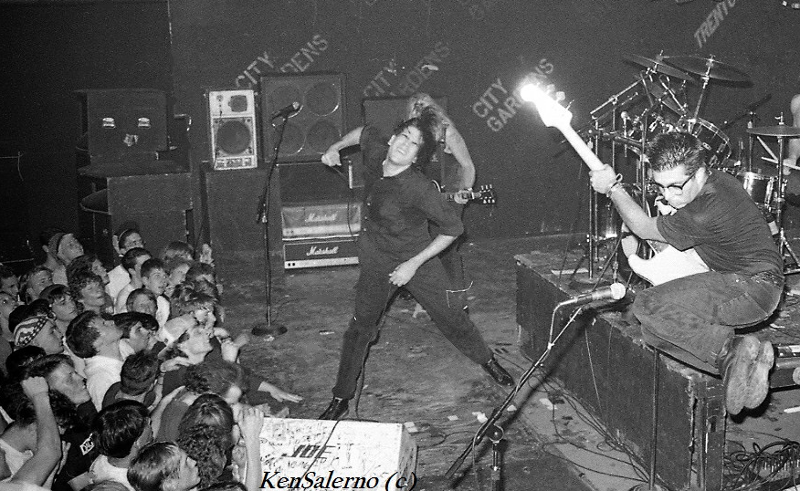 What are some highlights of playing with Dag Nasty back in the day? My recollection was the excitement getting to wear dry clothes since most of the clubs would be packed over capacity and it’d be like 105 degrees inside when we were playing. In the winter after a show, when the venue opened its doors a giant cloud of steam and sweat would come billowing out of the club, that's a sight. Way too many highlights and funny stories to get into now, but one funny situation was stopping in Darien, CT, to get gas and the owner of a gas station asked me if we were the Grateful Dead. ??? Apparently, his son had been off following the Dead for a few years and he thought I might have the inside scoop on his son’s whereabouts. How did those experiences mold you into who you are today? With Dag Nasty I learned a ton, met a billion people, played all over US and Canada and had a great time. I think anytime you travel, you create lots of life experiences, and when you’re traveling with a band it’s like living life in hyper-space. In the band world, experiences come at you faster and there are more of them since you’re working on a 24-hour clock. I’d say it’s helped me learn how to navigate situations better.